Since as long as I could remember, I have been a bibliophile. I would love (and still love) to be surrounded by beautifully bound books, spending lots of time in libraries, and skimming through the collections of family and friends. I am quite old school in the sense that I do love to purchase physical books, a pastime of mine since college. As of late, I make time to wander about in local bookstores to find new and old works from my favorite authors and friends. On a recent jaunt to the McNally Jackson bookstore at the top of the year in New York’s SoHo neighborhood, I found myself searching specifically for a friend’s book, as well as a few more titles to tickle my fancy. My budget is nowhere near endless, so along with the title I was there for specifically, I wanted to keep my spend under $40 if possible. 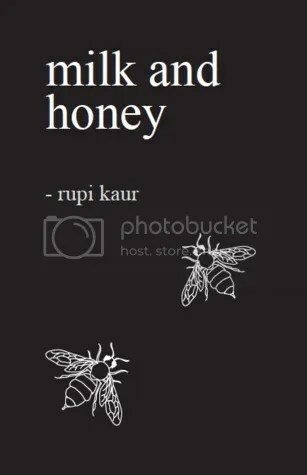 I walked each bookshelf looking for something that would speak to me, and as I got closer to checkout, I decided to pick up Milk and Honey by Rupi Kaur. I had heard great things about the book of poetry, and with a 20% off ticket on the cover, I was sold. I was super happy with my purchases, including a beautifully illustrated wall calendar and daily planner, and was pumped to dig into the book. I don’t know if you are anything like me, but I kind of psych myself up to read new books, but often delay. Perhaps it is my anxiety, but for some reason with books, I know I will be moved to read them at just the right time. Fast forward a few months, and I am preparing for my first solo trip to Belize. My intent for the trip (aside from nabbing a super-cheap flight) was to learn more about the stories of my family, specifically the women, and reach out to certain members of the community for work-related articles. I have flown to Belize solo in the past, but never travelled completely on my own as trips prior were with my parents or entire immediate family. I decided to bring Milk and Honey in tow as I knew I would have a bit more downtime to just read and be. For the women that want to engage in a book of mini-tales of the ups and downs of womanhood, for people that absorb beautiful words like water to the roots of a plant, for everyone that needs a well-versed true story to feel more alive, to you, I recommend this book.